Waukesha, and all of Metro Milwaukee. and all of Metro Milwaukee. Keep your home warm and cozy through the frigid Wisconsin Winter by making sure your furnace is running efficiently through the season with an annual tune-up or replace your old, outdated unit right away. We know the temperatures can get uncomfortably warm in the summer. Make sure your air conditioner is running at full capacity with annual maintenance. Contact us to install a new energy-efficient unit! Make sure the air that you and your family breathe in your home is as fresh as the air outside. Contact us to find out more information on how you can keep the air inside mold and toxin free all year long. We specialize in commercial services in Kenosha and the surrounding communities. We have highly trained technicians that are available and ready to handle any heating or AC Repair for your business. Your Home...The place you share with those you love most; your haven in a busy world. A place whose comfort we're here to protect. 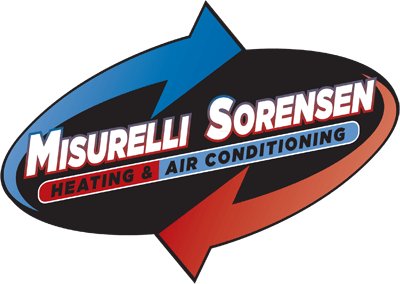 From winter's chill through the dog days of summer, our primary goal at Misurelli Sorensen Heating & Air Conditioning is to keep your home comfortable for you and your family. By doing what it takes to ensure each customer's complete satisfaction, Misurelli Sorensen Heating & Air Conditioning is welcome in more homes in all of Metro Milwaukee than any other contractor. We invite you to give us a call.